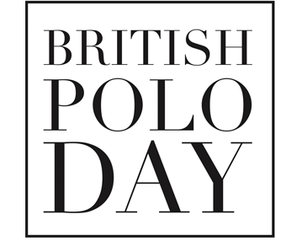 Throughout 2018, Original Travel and British Polo Day will be celebrating the craft and heritage of polo through a series of events around the world. This year, we are British Polo Day's dedicated travel partner and will be organising bespoke travel experiences for guests. British Airway's unrivalled flight network means you can connect to 326 destinations in 107 countries. Choose the cabin to suit your budget from the great value economy services of Euro and World Traveller to the exclusive surroundings of Club Europe, Club World and FIRST Class. Original Travel has teamed up with the much loved children's party people Sharky & George to inject some creativity and fun into the family holiday process. IGO are the creators of superslick expedition quadrathlons in some of our all-time favourite destinations around the world. Founded by adventurers Bobby Melville and George Bullard, IGO provides perfectly packaged four-day adventure challenges designed to test you to the very limit. Les Trois Soeurs is an elegant bridal boutique in the heart of Canary Wharf. The dedicated buying team takes a global approach as they travel the world hand selecting the best bridal pieces from the most esteemed designers. This fabulous collection boasts industry heavyweights, designer exclusives and successful new talent including Temperley, Amanda Wakeley, Lazaro, Caroline Castigliano, Sarah Janks, Bagley Mischka, Jenny Packham, Anna Maier, hats by Philip Treacy, lingerie by La Perla and more.